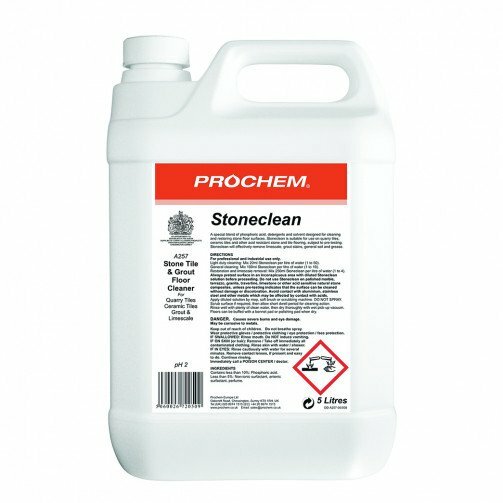 Safe formulated acidic detergent and solvent cleaner for stone and quarry tiles, ceramics, porcelain, terrazzo and other safe composite materials. QMT Stoneclean will remove soil, grease, limescale and cement residues. Orange liquid with mint fragrance. Q. How much floor area does a 5 litre of QMT cover? A. A 5 litre of QMT would cover roughly 200-300sqm.